Gardeners have become more environmentally conscious over the past few decades. They are employing more environmentally sound principles in the landscape such as using less pesticides, composting more and even installing rain gardens. Gardeners’ plant palettes have also changed slightly. They are incorporating more pollinator-friendly plants as well as native species into the landscape. 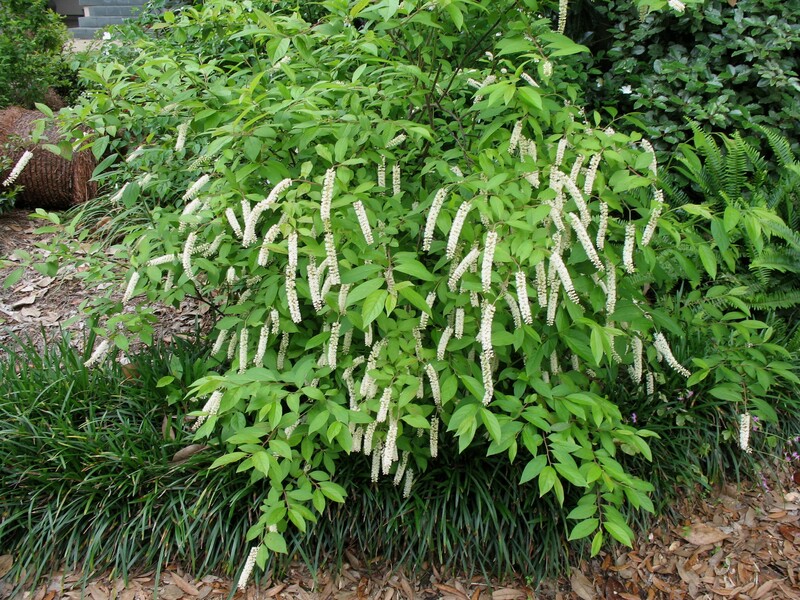 Virginia willow, also called Virginia sweetspire and known botanically as Itea virginica, is one of our more popular native shrubs in Louisiana. Interest in this shrub has increased in the past 10-20 years with the use of the variety Henry’s Garnet. Henry’s Garnet Virginia willow is the newest addition to the LSU AgCenter Louisiana Super Plants program for spring 2017. The Louisiana Super Plants program is an educational and marketing campaign of the LSU AgCenter that highlights tough and beautiful plants that perform well in Louisiana landscapes. Louisiana Super Plants have a proven track record; they are “university tested and industry approved.” Homeowners and horticulture professionals alike can benefit from using Louisiana Super Plants to ensure a successful landscape. Henry’s Garnet Virginia willow is a lower-growing shrub, topping out at 5 feet tall while having an equal spread. Sometimes the plants can be slightly wider than tall due to its clump-forming growth. Prune any undesirable growth in spring after flowering is completed. Avoid pruning in winter or early spring as this will inhibit flower production the following spring. Foliage of Henry’s Garnet Virginia willow is especially handsome in fall. The leaves turn a brilliant deep red-purple and persist late into the fall. Plants are deciduous in some areas but actually are semi-evergreen in the Baton Rouge area, retaining some foliage all year. This plant tolerates Louisiana's wet and heavy soils but also performs well in drier sites. It is frequent found in the wild in locations that have moist soil. Henry’s Garnet is now being used in rain gardens in commercial landscapes around the state. Virginia willow is also adapted to a wide range of soil pH and can adapt to almost any soil type or drainage situation in a landscape. Even though they prefer a slightly moist soil, they are very drought-tolerant. Morning sun with afternoon shade is a nice planting location. Fertilize once annually with a 3-to-4-month slow-release fertilizer. It is best to apply fertilizer in late winter just prior to new growth or in mid- to late spring after flowering. Henry’s Garnet Virginia willow would look great paired with other Louisiana Super Plants, such as evergreen sweetbay magnolia, Conversation Piece azalea and Mrs. Schiller’s Delight viburnum. Nice flowers, nice foliage, native, and site adaptability make Henry’s Garnet Virginia willow a perfect addition to your landscape.